When planning a meal there is always a reason behind what you are making. It may be something simple as you are low on time it may fancy because of a special occasion , it may be themed or one of many other factors. One of these driving factors behind your meal may be wine. That is correct wine can frame a meal ! Wine can help create a template on where you would like to take your meal and how the diners will experience it. Here are some ways wine can frame your meal this evening. 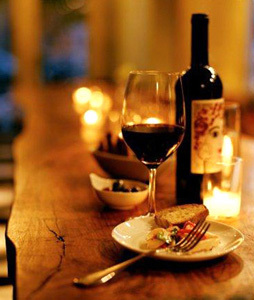 Wine has the ability to to help steer the flavors of the meal. If you speak to any sommelier they will tell you that certain wines pair better with certain foods due to things like acidity levels in the wine, how sweet the wine is, how spicy the food is, along with a number of other factors. This being said if you decide to drink a Merlot this evening it may not pair well with every food therefore helping to steer your food choices. Frequently we have theme’s for our meals. This can be because of a special occasion or time of year or just for fun. When you chose a wine it can help you decide on your theme. For example if you chose a Rioja from Spain it may be a great opportunity for a Spanish themed meal or Tapas party. Maybe, you run across a pineapple wine from Hawaii which would lead perfectly into a Luau. These are just two of many ways that wine can frame the meal you are going to prepare for dinner this evening. So remember wine isn’t just a part of the meal it may actually help to plan your next meal.